Salam Friends! 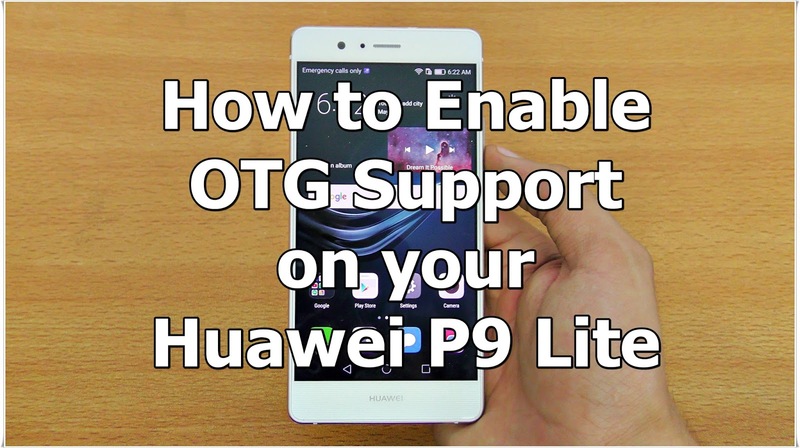 Today we tell you How to Enable OTG Support on your Huawei P9 Lite - The Easy Way. For more such amazing posts Follow Us. You can also get Us on Facebook , Twitter & Google+. Here is an Easy Solution to Enable OTG Support on Huwei P9 Lite Android Smartphone. The Huawei P9 Lite is one of the popular phones running Android firmware. It was launch back in April 2016 and has since recorded impressive sales numbers. The smartphone features a decent 5.2-inch touchscreen with a Full-HD 1080 x 1920 pixel resolution. The device runs on powerhorse of a process, the 1.7GHz Octa-Core Kirin CPU & a 3GB of RAM. Out-of-the-box the phone comes with an internal storage of 16GB that can be expanded up to 128GB through an external microSD card. In terms of camera, the Huawei P9 Lite features a respectable 13MP rear main lens and a front-facing 8MP camera lens for taking ultra sharp selfies. Aesthetically, the device has a slim metal chassis and modern look. Most of the features are just what you would expect in any decent smartphone. However, rather surprisingly, the Huawei P9 Lite doesn’t have the official Huawei OTG feature. But, thankfully, there is an easy workaround this issue as is explained in the tutorial below. 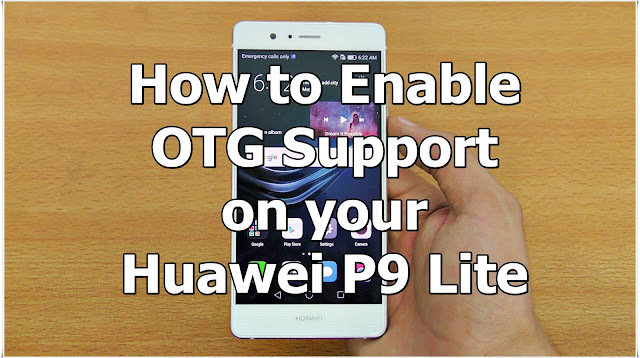 You can easily enable Huawei OTG support on P9 Lite smartphone. With the hard work and effort put in by Android developers, we now have a working solution to enable OTG on Huawei P9 Lite that works seamlessly. After testing this method, If you are looking the best method to enable Huawei OTG on P9 Lite, follow these steps. Before jumping on to the actual methods, there are a few tools that you will need to have with you to successfully complete the process. Also, make sure your device is fully rooted and has a file explore installed on it. To root P9 Lite, you must first unlock the bootloader of your Huawei phone. Download the OTG Enabler Package from the link above and extract it on computer. Connect your phone to PC via USB cable and move the extracted files to the device’s internal storage or external microSD card, depending on the available free space. Now, open Root Explorer tool on your phone and move OTG Folder to SYSTEM. Next, set the permission of OTG folder to 755. After that, download Script Runner APK from the link shared above and install it on your phone. Make sure that "Unknown Sources" option in Settings > Security is Enabled before installing the APK file. You have successfully enabled OTG Support on Huawei P9 Lite smartphone. Any queries? Do share your thoughts in the comments sections below.